Artemisia Salon, established in 1999, is a serene salon dedicated to perfecting your personal look in a way that matches your lifestyle. Our experienced staff is passionate about their work, expressing their creativity with each client. With advanced training and ongoing education our stylists specialize in hair coloring and utilize both the latest as well as classic techniques to create fresh modern styles. 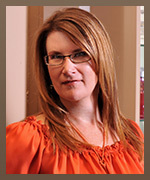 Lisa Jason has had more than 20 years’ experience in the hair industry. After working in various salons over the years, she decided to open her own, and established Artemisia Salon in 1999. With her interest in hair design as well as interior design, she created a warm, relaxing, environment for clients. Early in her career, Lisa studied with Logics international hair color, this experience solidified her love for color, and began working for Logics as an educator – she has been specializing in hair color ever since! Lisa loves creating unique mixes of natural hair color, mimicking nature – woodsy mahogany browns, cinnamon reds and sun kissed honey and caramel blondes. Over the years she has also studied with TONI & Guy, L’Oreal, American Crew and Keratin Complex by Copola. Lisa is a perfectionist and an expert at translating what the client wants – she uses her creativity, sense of color, and creates the perfect look for each client. She has a love for all things hair! For as long as she can remember she has had an interest in fashion and hair. She discovered her calling as a teenager, when her sisters entrusted her talented hands with their tresses. She has been in the hair industry ever since. 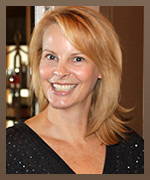 Mary has 15 years of experience, and 10 of those with Artemisia Salon. She inspires us all with her creative, edgy hair colors and fun sassy cuts, on her clients as well as herself. Mary is a true talent, and one of the most genuine people you will have the pleasure to know! Debra Grant has lived in San Diego since 1999, and has been in the hair industry for more than 20 years. She specializes in color – natural sun kissed hi-lights, bold blonde to intense reds! She has had training with Keratin Complex smoothing treatments, which allows Debra to accentuate her beautiful haircuts and colors with a softer, smoother, silkier hair. Debra has been with Artemisia Salon for 5 years and is a valuable member of our team.